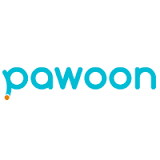 Description Pawoon (founded in 2014) is a technology company based in Jakarta, Indonesia. It offers cutting-edge cloud-based point of sales (POS) solution for Small to Medium Enterprises (SMEs). Pawoon is now one of the fastest growing and one of the most-funded SaaS companies in Indonesia. Pawoon aims to provide a best-in-class platform for managing SMEs’ business in an efficient, productive and simpler way. Through technology, Pawoon believes that every business can achieve their success by innovating and becoming more than just a POS tool for more than 16 Million SMEs in retail industry. We are now expanding our team to support SMEs in other cities such as Bandung, Surabaya, Bali and will be more. We are offering excellent opportunities for creative, dynamic and ambitious people while developing their talents and career. Be part of our challenging and exciting road of Indonesia SMEs revolution with technology.